Please find attached Provisional Points after Round 6 – Wexford Stages Rally. If you have any queries please don’t hesitate to contact me. Please note points will remain provisional for 21 days until 02/10/2017 at 10.00 p.m. and will then be declared final subject to any queries being resolved. This entry was posted in Carlow Car Club, Carrick on Suir Motor Club, Events, Forestry, Munster Car Club, Results, Tarmac, Tipperary Motor Club, Wexford Motor Club on September 12, 2017 by admin. We, the organising committee of the Suirway Group South East Stages Rally Championship are saddened to hear that the Tipperary Light Car & Motorcycle Club have taken the decision not to run the 2017 Stonethrowers Rally, the next scheduled counting round of our championship. We are fully committed to the remainder of our championship season and will keep our competitors updated with our plans as soon as possible. This entry was posted in Events, Tarmac, Tipperary Motor Club on July 7, 2017 by admin. 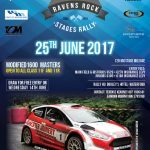 This entry was posted in Carrick on Suir Motor Club, Events, Results, Tarmac, Uncategorized on June 26, 2017 by admin. 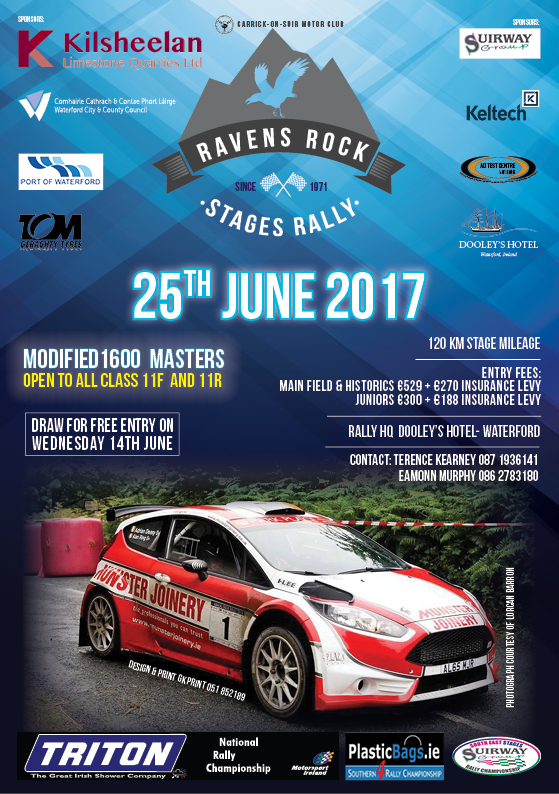 This entry was posted in Carrick on Suir Motor Club, Events, Tarmac on June 20, 2017 by admin. 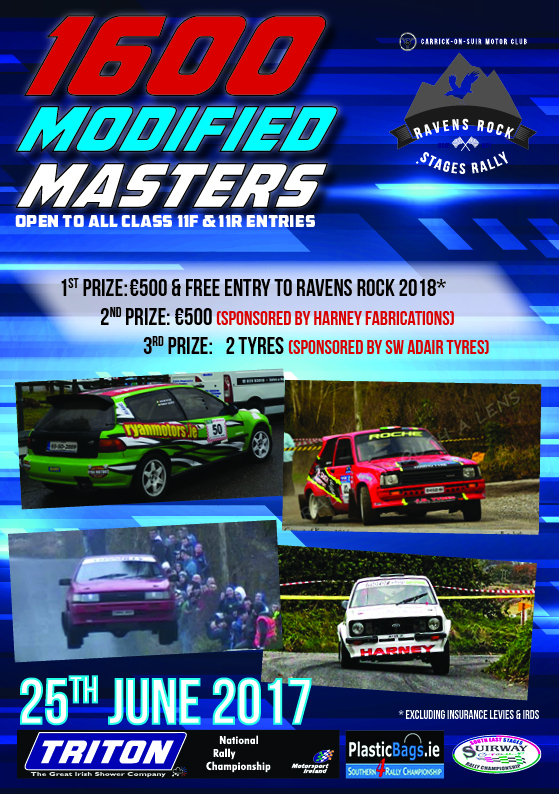 New to the Ravens Rock Rally is the 1600 Modified Masters open to entrants in Class 11F and 11R. This entry was posted in Carrick on Suir Motor Club, Events, Tarmac on May 18, 2017 by admin. This entry was posted in Carrick on Suir Motor Club, Events, Tarmac on May 15, 2017 by admin. This entry was posted in Carlow Car Club, Events, Results, Tarmac on May 8, 2017 by admin. The 2017 Carlow Stages Rally marks the third round of the Suirway Group South East Stages Rally Championship, and our first round on tarmac after two great rounds in the forest. This entry was posted in Carlow Car Club, Events, Tarmac on April 25, 2017 by admin. This entry was posted in Carrick on Suir Motor Club, Events, Tarmac on March 16, 2017 by admin.